This post is going up a little later than I had originally planned but it's a ripper nonetheless. Irish electronic rock/punk band Restive Nation came to my attention thanks to Dave (of post-metal band Raum Kingdom). He wrote to me to let me know about both the band and their new song Murmur, which he provides guest vocals for. I was lucky enough to be able have a pre-listen to the song and was instantly hooked. So much so that I asked if I could provide some press and low and behold here we are. It's a song that takes you back to a bit of a forgotten era when industrial rock was more prevalent but before nu-metal took hold. I hope you like it and don't pay too much attention to my attempt to describe it (as I'm occasionally wide of the mark). 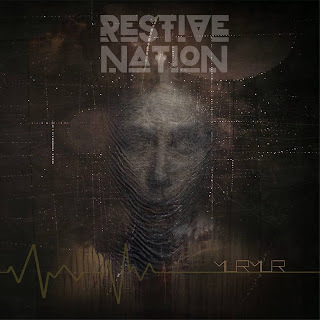 You can find out more about Restive Nation via Facebook - https://www.facebook.com/restivenation/, where there's a link to more of their music through bandcamp. Lago/Calm Hatchery - Split 7"